Along with being a photographer, working with color is an important part of my job. During the day, I am responsible for color correcting products with the physical print of the product. One must have a careful eye and patience is key. The more I do the work, the easier it gets and I enjoy the "puzzle" of matching the colors. 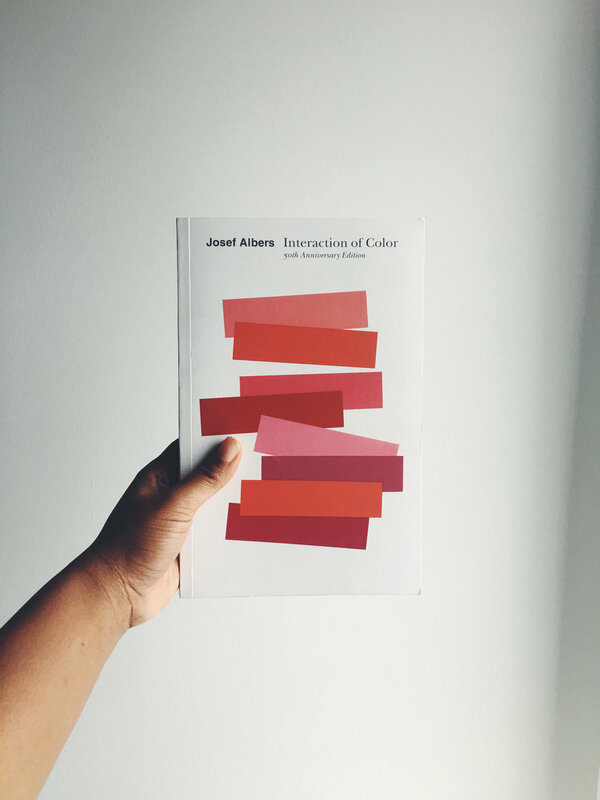 My creative director reached out to me and gave me the “Interaction of Color” by Josef Albers. It is a comprehensive book of color studies that have been done to see how various color, tones and shades interacts with each other. For anyone who is interested in learning more about color, I would highly recommend this book. Being an artist or someone who works in the print field could also benefit from this book. It is very detailed, but the beautifully designed pictures give visual understanding to the theories. Comment below! What books have you been reading to further develop your skills?